An absolutely unbelievable day for Epic today, folks. We knew that it would be a BIG day, but I don’t think any of us imagined just how BIG it would be!! We sang the National Anthem at the 2012 Virginia Gold Cup races. As if it isn’t enough to hear your quartet’s sound echoing far and wide across miles of Virginia countryside, we also sang for the Governor of Virginia and Robert Duvall. Yes, folks, that’s right. We not only sang for Robert Duvall, but Anne also sang to him while sitting on his lap. 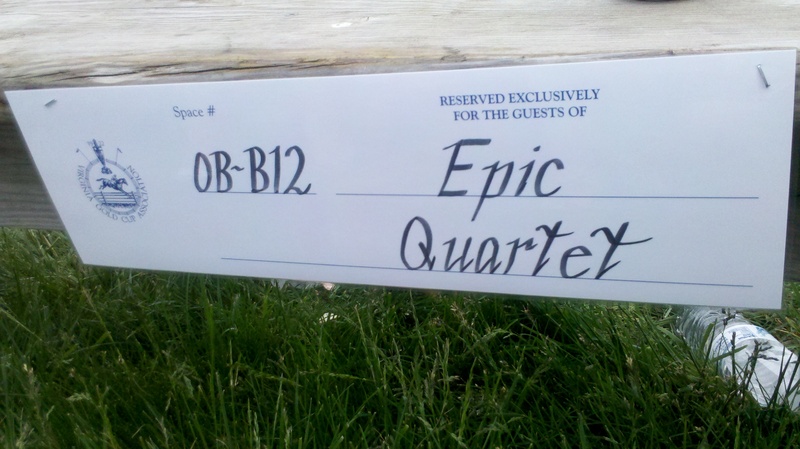 What an amazing event to be apart of..Hip Hip Hooray to EPIC.. job well done! So proud to be part of this quartet.